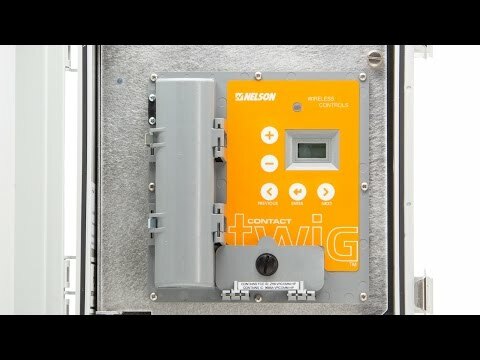 The TWIG Contact contains 4 latching contacts, incorporated into a TWIG radio receiver. The TD200 has the ability to communicate with the TWIG Contact to open and close the contacts in order to turn devices on and off. 110 Volt AC; 12 Volt DC battery; or 2 D-Cell batteries. • Requires an external antenna. • Contacts rated to one amp maximum current. Multi-directional Omni Antenna and cable (#12000-0XX), Kits come with different length cables. Mounting hardware and lightning arrestor included. Does not include grounding rod or grounding wire. Small short range 2 dbi articulating antenna(#12281). commonly used on the Contact TWIG. The Solar Power Kit (#12075-00X) includes a 10 watt solar panel, charge controller and optional battery.